The mother of a man who died inside the West Hollywood apartment of a prominent Democratic Party donor filed a wrongful-death lawsuit Tuesday that names him and the Los Angeles County District Attorney as defendants. 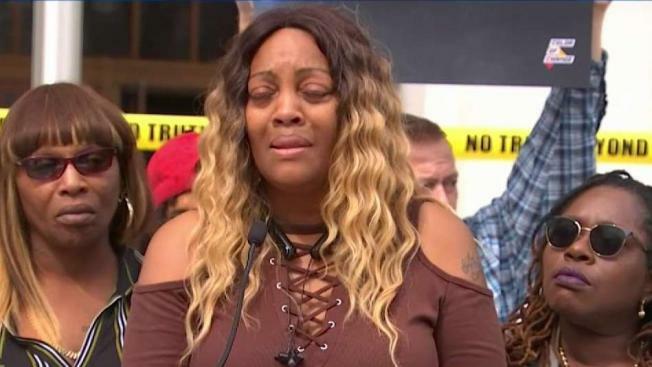 LaTisha Nixon told NBC4 Tuesday she was frustrated that authorities had failed to file criminal charges for the 2017 overdose death of her 26-year-old son, Gemmel Moore, and didn't want to see any other mothers to lose their loved ones in a similar way. "I just think they don't care," Nixon said of prosecutors and detectives who've worked on her son's case. The case filed in LA Superior Court Tuesday names the donor, Ed Buck, DA Jackie Lacey, and Deputy District Attorney Craig Hum as defendants, and alleges wrongful death, sexual battery, hate violence, drug dealer liability, negligence, infliction of emotional distress, and two violations of civil rights. The case also accused Buck of personally administering the drug that took Moore's life. The mother of a man who died of an overdose in the home of a prominent Democratic donor is seeking answers for her son's death. Beverly White reports for the NBC4 News at 11 on Monday, Aug. 21, 2017. "Mr. Buck injected Mr. Moore with a lethal dose of crystal methamphetamine," the case said." We'll fight the allegations vigorously," said Buck's attorney Seymour Amster. "We haven't seen the lawsuit, but we've done our investigation and there's more to the story than is being told. If necessary, we'll tell the full story in a court of law." The District Attorney's Office declined to comment. Moore's death was initially classified as an accidental methamphetamine overdose. The LA County Sheriff's Department re-examined the case after Nixon and activists demanded a deeper investigation, though the LA County DAs office ultimately declined last year to file criminal charges against Buck. In January 55-year-old Timothy Dean died in Buck's apartment on Laurel Avenue under similar circumstances. Buck through his attorney has said Dean arrived at the apartment already under the influence of a drug. The LA County Coroner's Office said this week the cause of death was still being investigated and any findings will be kept secret at the request of the Sheriff's Department. Nixon's attorneys, Nana Gyamfi and Hussain Turk, said they believe Buck has received preferential treatment from police and prosecutors, possibly as a result of his history of political activism and campaign donations to a wide variety of elected officials. "The lawsuit doesn't only get some level of accountability from Ed Buck and from the District Attorney's office, the County — in the language that they understand, which is money, but it also enables us to expose what Ed Buck is doing," Gyamfi said. The family of Gemmel Moore, who died of a methamphetamine overdose at the West Hollywood home of prominent Democratic party donor Ed Buck in July 2017, pressed authorities to reopen the investigation into his death. Now, sources tell Eric Leonard of the NBC4 I-Team that the district attorney has new evidence in the case. Leonard reports for the NBC4 News at 6 p.m. on Wednesday, July 18, 2018. The attorneys said they suspected another reason no charges had been filed was because of the race and sexual preference of Moore and Dean. 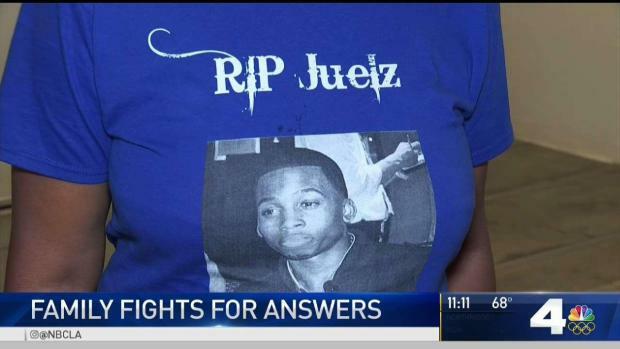 "It has a lot to do with Gemmel and Timothy and the fact that they were black," Turk said.